The html editor tool offers you the option to modify the toolbar of the html editor field present in the applications. 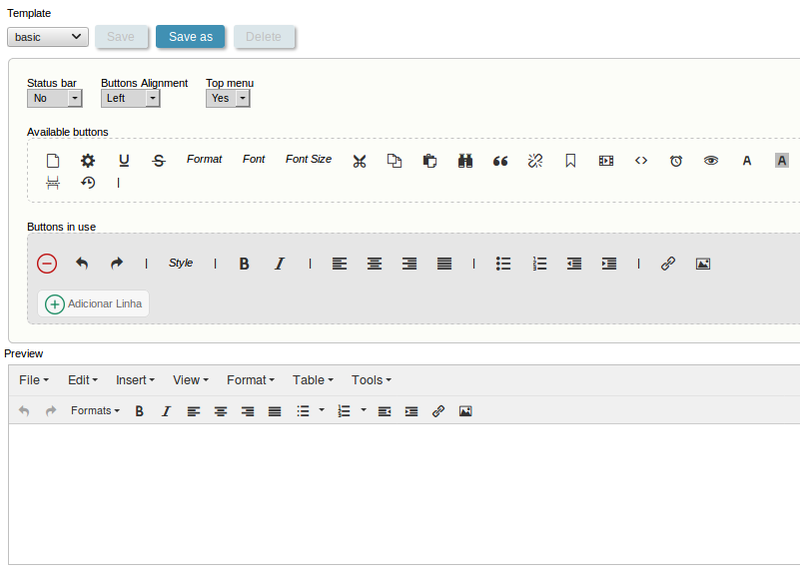 You can create a new template theme and/or edit an existing one. To create a new theme, just select an existing one and click on “Save As”, to edit an existing theme just select the theme and click on “Save”.